Your body runs on electricity. In Asia we call this electrical energy Qi. When one is healthy, Qi is formless in the body. The energy particles move fast like molecules of water in water vapour. But Qi can slow down and precipitate into denser matter. It first becomes clairvoyantly cloudy, then unlike water that changes to slush, Qi can precipitate into mucous and phlegm, which later can solidify like slush to ice, into tumours, cysts and bone spurs. 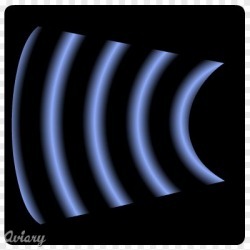 All matter is made of energy wave signatures which respond to resonant frequencies. Think of how an opera singer can break glass with her voice, or how kidney stones can be broken up using sound waves. Radio frequencies can vibrate disease organisms so strongly that their cell walls break open (see Rife Frequency Technologies). Quantum Sound Therapy can allow the energy field, low energy cells and tissues to receive energy from the unified field, thus de-densifying form to formlessness (as ice melts and evaporates to formlessness) in the body and thus allowing the Qi to flow again unhindered. Monica is an incredibly gifted healer with over 20 years of successful healing experience in the field of energy medicine. She has an extensive list of credentials, some of which range in variety from Sacrospinal Re-alignment, Reiki Mastery, Sha's Acupuncture Certification, Zhi Neng Medicine Energy Balancing, Zhi Neng Medicine Herb Practitioner Certification, Thai Massage Certification, Voice Analysis, Bio-Transformative Counseling, Regression Hypnotherapy, Yuen Method to presently working on completing her Doctorate in Natural Medicine. Monica has a unique gift of bringing through Divine Sound to assist the tissues and organs in the body to release their polarity and open to the Unified Field of Divine Energy. She developed and has practiced this modality called Vibrational Energetic Bodywork for over 18 years. Her success with hundreds of clients is a testament to this modality called Vibrational Energetic Bodywork. A Quantum Sound Healing session with Monica is a profound experience that can leave one pain-free, incredibly relaxed, intimately connected to one’s Divine Self, tension and stress-free. The body’s ability to self-heal becomes accelerated. She has lectured and taught workshops all over North America. She is an inspiring and passionate speaker that has an ability to bridge mainstream science and eastern medical philosophy with Quantum Energy Medicine, taking the listener into a profound and empowering understanding of their personal health. Monica also teaches how Soft or Low Level Lasers give the average individual an exciting and empowering ability to accelerate and assist the body's natural healing ability and inspires professional therapists to catch the wave of this cutting edge scalar technology as the healing field moves into this new evolution of Quantum Science. I came to Monica Nipp for treatment, having heard of her many successes treating and healing others with far worse to contend with than my recurrent Hodgkins lymphoema. In just one session, she shrank a tumorous growth on my cheek to half its size, and in a subsequent session it was reduced by yet another half. Even after such a remarkable reversal, Monica reminded me that the healer was on the table. Such a statement says a lot about her approach to dealing with disease - it tells me she’s aware of and uses so-called outside techniques not for their shock value, but to affect rapid recovery and order in the body while engaging the client’s own unwitting help. Very wise work. Thank you again and again Monica. Monica is a skilled practitioner of the art of healing. She has been given the great gift of incredible insight and healing power. These two gifts together multiply her abilities exponentially. With barely a touch and a thought, she was able to clear even the most difficult of blocked energy passages in me. Monica has a wonderful gentle spirit and is always willing to give of herself to help others in need. Her gifts of healing are a treasure for all the world to share. A chest x-ray for potential bronchitis showed a quarter sized spot in my breast. Before going for a mammogram, I visited Monica. During a treatment, I felt an intense shooting sensation as something exited my side. They could find nothing in the mammogram and another x-ray. I first met Monica at a Health Show around eight years ago. I heard this beautiful voice singing and then I saw Monica. I signed up for my 15 minute healing session. Unknown to Monica (as we exchanged no conversation other than a greeting), I had colitis and was unable to eat any salads or raw veggies without consequences. Because she placed her hands on my lower abdominal area, I was hopeful that she could help me. For the next two months I enjoyed eating salads and veggies! I then knew I had been blessed to meet a True Healer! I sought Monica out for a full healing session. My colitis quickly became a thing of the past. I work in Health Care in the Emergency Dept. While at work, some of my co-workers would come up to me and say that my left eye was half closed and then at times my eye would close completely. I could never tell unless I happened to be looking in a mirror or someone noticed and told me....eventually one of the emerg. doc's had a look at me. He suggested that I make an appointment with a doctor of Neurology. I did and went through extensive testing....at the end of which knowing something was wrong with my eye, the doctors were unable to come up with a diagnosis and treatment. I once again turned to Monica for help and the healer that you are, it's been 3 years since I've had any problems with my eye. Monica, I'm truly blessed and thankful that our paths have crossed for myself, members of my family and friends. You've done some incredible healing and you've made a wonderful difference in our lives. on all levels be it the physical, emotional and spiritual. mass is no longer there. Monica is the only person who can alleviate my chronic TMJ problem. greatly improves for many months. Four days prior to knee surgery, I suffered a tennis ball sized hematoma in my upper left thigh. Unable to bend my knee, my scheduled knee surgery was postponed. Two months later (while going to physiotherapy four times a week), the hematoma hadn't changed size and was calcifying. At my Mom's suggestion, I went to see Monica for a treatment. Later that same day, the hematoma shrank about a third of the size! Monica gave me a tone to continue breaking up the calcification. Two days later, my hematoma was gone! My Doctor and Physiotherapist were so surprised. When asked what had happened: I told them I went to see a Healing Lady, Who Sang to My Leg! Two weeks later, I had my knee surgery. Your problems may be physical, energetic or spiritual in nature. Monica Nipp will help you in the healing process, ease your sufferings and expose your limitations contributing to your problems. It is up to you for the rest. After the problems I had with my back, and various methods I tried to use to relieve the pain, "Sacrospinal Re-alignment was by far the most effective. Monica Nipp's understanding of this method and gentle touch have made a world of difference in my health and my outlook. I recommend Monica's healing techniques to anyone. It is a very unique experience for the mind, body and soul. It feels GREAT with immediate results. I've had back problems for a number of years and numbness in my arm and she has healed both of them successfully.